Breakfast at Jimothy's: HE JACKED THAT ONE! WAAY BACK...AND GONE! HE JACKED THAT ONE! WAAY BACK...AND GONE! There are somethings every teenager needs in life. A scooter, a pet, an addiction to some sort of soft drink, the ability to quote lines from The Mighty Ducks (excluding D-3), and MVP Baseball 2005. What other game can you play with Jon Dowd, Adrian Friese, and Jason Schmidt? None. MVP is a game unlike anyother, it's impossible to not like. If you know a kid who doesn't like MVP 05, it's most likely the same kid down the street who gets his shoelaces tied together in gym class, and has been hitting on your sister for years (even though theres a 7 year age gap between the two). If you don't like MVP, you're probably a fan of Roger Klotz, yellow starbursts, John Rocker, any nemsis of Jack Bauer, and Princess Peach. Having Manny Ramirez on the cover is another reason to like it. He probably isn't even aware that he was the cover athelete, but as long as it got him money, why not? Coming off the heels of the Red Sox reversing the curse of the Great Bambino, it was a no brainer to choose such a great role model. With the additions of the AAA level, the AA level, and the A level teams in the game, is there anything this game doesn't have? You can play your dream matchup of the Norfolk Tides against the Lancaster JetHawks, right after playing the Portland Sea Dogs and getting demolished by the newly formed Washington Nationals. Maybe there is one thing missing from 05, Barry Bonds. Good ol' Barry apparently decided to leave the player's union so he could make more money independently, or at least that's what it says on wikipedia right here. Not all was lost, as the world was introduced to Jon Dowd, the new homerun hitting outfielder of the San Francisco Giants. Maybe I'm being a little unfair with this declaration of how great MVP 05 is, due to the fact I'm a Red Sox fan. The game isn't perfect, but who is? Do you think it's realistic that the Red Sox are ranked first in the game with a pitching staff consisting of Curt Schilling, David Wells, Matt Clement, Wade Miller, and Tim Wakefield? Or the fact that Mark Bellhorn is somewhat decent in this game, when in reality he looked like he fell in a pool of grease and struck out more times than the number of times 15 year old girl checks her facebook in a year. So the game may have some flaws, but after playing it recently, I've noticed that it brings back memories. Memories to the good old days when Roger Clemens was clean and a lock for the hall of fame, when no one knew that Sammy Sosa used a corked bat AND steroids to hit the long ball, and when Yankee Stadium was still the House That Ruth Built, not the House That Steinbrenner (and NY taxpayers) Erected. 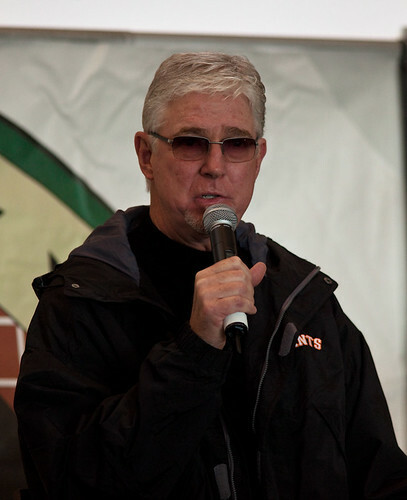 Everyone who's played the game enjoys it, and remembers it clearly, from the shoestring catches to announcer Mike Krukow calling batters 'meat' and insisting that every ball the pitcher throws automatically means he's lost control of his fastball. Maybe 2005 was just a better time than right now, so the game is still amazing even after 4 years of it being out in the world for people to play, I don't know, but what I do know is that no baseball videogame even comes close to MVP 2005. Basically what I decided last night is that for each post, the topic will be randomly chosen by one of my close friends. Tonight's topic was chosen by Tom Airozo, who tonight lost to me in a matchup between the Norfolk Tides and the Las Vegas 51's. What a game. ANDRES GALLARAGA AND THE TIDES BABY!!!! WOOOOOOOOO BIG CAT!!!! 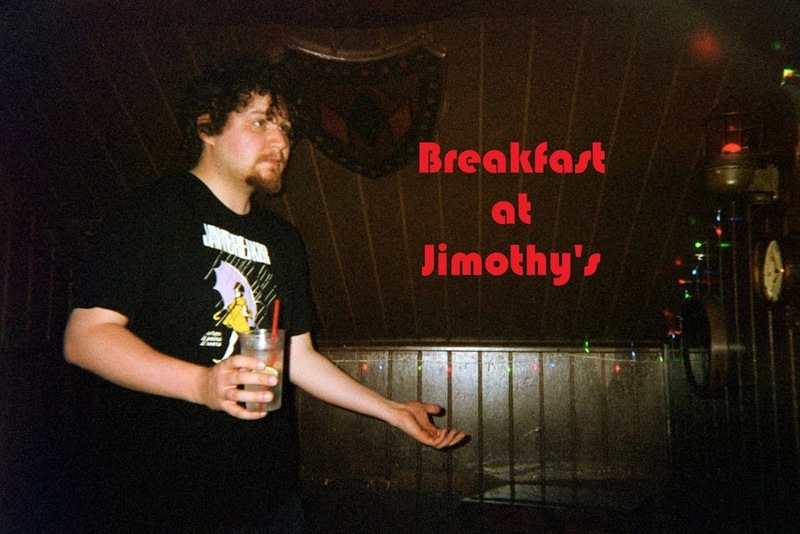 Welcome to Breakfast at Jimothy's.